Candid Camera-like pranks can be more telling than they might be funny. Egypt’s Al-Nahar TV featured separate interviews with three popular actors – two men and one woman – who were each told at some point that their appearances were being screened on Israel’s Channel 2. That alone sufficed to trigger violence and/or vituperation. This truism is nothing less than invaluable for understanding the news which keep mercilessly bombarding us even in the midst of what’s supposed to be the sweltering summertime’s silly season. Each new headlines appear to overshadow the previous sensation. But should we be shocked in the first place? Or are we being cleverly manipulated by agenda-merchants? If we took a leaf out of Karr’s journal, we wouldn’t have been surprised by any recent events. Insight fortified by hindsight would have steeled us against attempts to mess with our minds. The British Broadcasting Corporation could never be accused of showering Israel with sympathy. Indeed the BBC could never be credited with gracing Israel with the rudiments of objectivity. 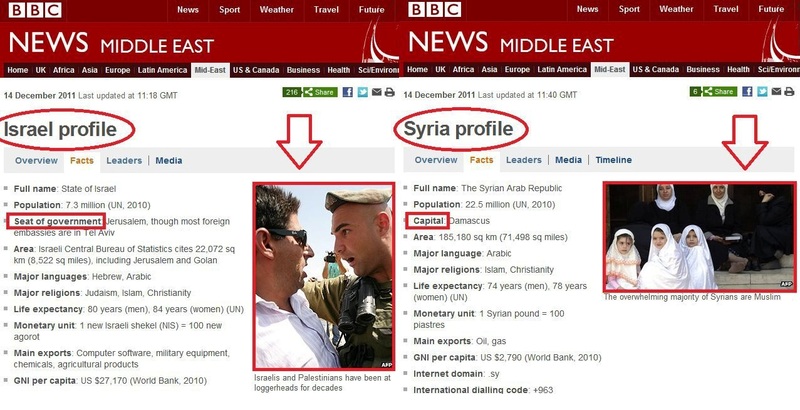 Nonetheless, the BBC has managed to flabbergast even those Israelis who hadn’t expected minimal fairness from it. If things are so upbeat, why are they so intractable? Both Obama and Clinton would be a lot less frustrated and much wiser had they turned to the late Yitzhak Shamir for clues. 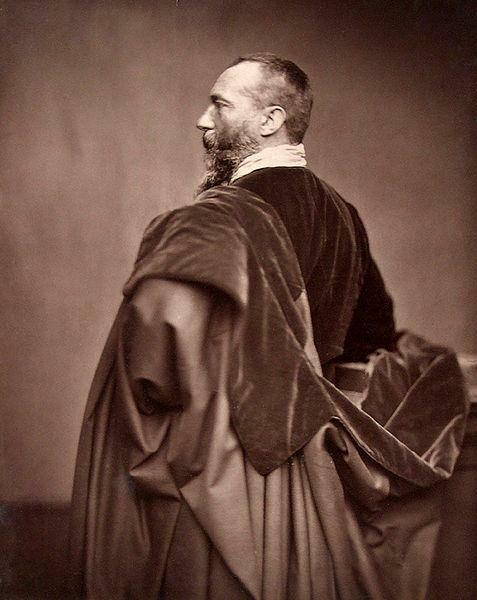 He was endlessly mocked by members of our chattering classes when he stated outright that “the sea is the same sea and the Arabs are the same Arabs.” He plainly harbored no illusions in a wishy-washy world of wishful-thinking, where reality often becomes a most unwelcome intruder. Another Tack: What if his name was Bibi? I couldn’t help rubbing my eyes in disbelief at the joyful celebrations which greeted former premier Ehud Olmert’s acquittal in two corruption cases and the simultaneous belittling of his conviction on a third – what his cheerleaders portrayed as the “minor” matter of breach of trust. I couldn’t help wondering whether the same reactions could have been remotely conceivable had the defendant been named Binyamin Netanyahu. I vividly recalled when the “breach of trust” innuendo was hurled accusingly at Netanyahu, not after a courtroom verdict but after the prosecution admitted it had no case to at all take to trial. That in no way prevented a raging tempest from ominously swirling around Netanyahu. 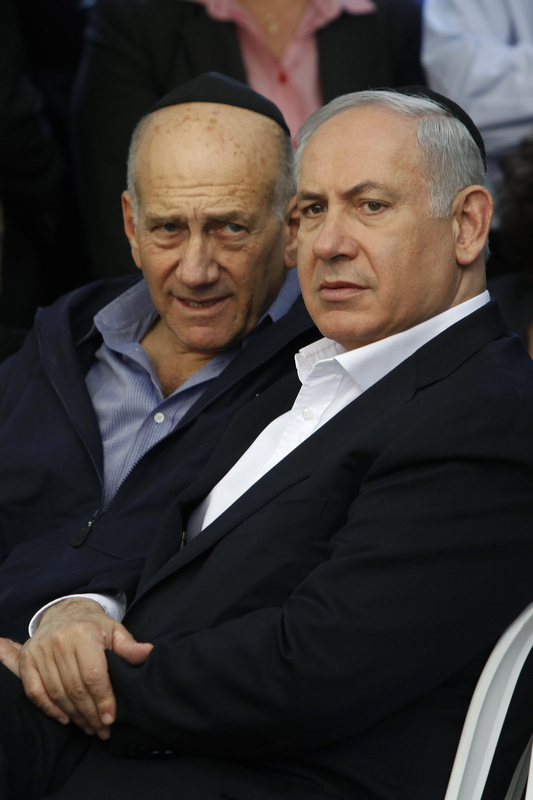 In diametrical discrepancy to the Olmert phenomenon, there were no orchestrated (or other) compunctions about attempts to bring down a serving prime minister at the outset of his term. Nobody dared suggest adoption of the French law which shields PMs in office from investigation and prosecution. In fact, keeping Netanyahu from his weighty duties was deemed a laudable objective. If anything, the prevailing bon ton dictated that it was a darn shame Bibi wasn’t hauled off to court, summarily tried, convicted and ignominiously booted out. To hear trendsetters, that was what he deserved because the prosecutors, who estimated that they didn’t have the goods on him, nevertheless rebuked him for supposed intentions which they admitted they couldn’t prove. 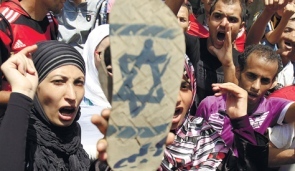 That alone sufficed to pillory Netanyahu. Some tall tales refuse to die. In the Arab Mideast they even grow – often to gargantuan proportions, usually proportionate to their inherent preposterousness. 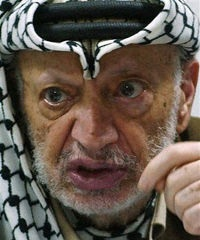 This is the case with insinuations about the cause of Yasser Arafat’s death eight years ago, at the age of 75. Conspiracy theories abound. The only scenario serially discounted is natural cause.